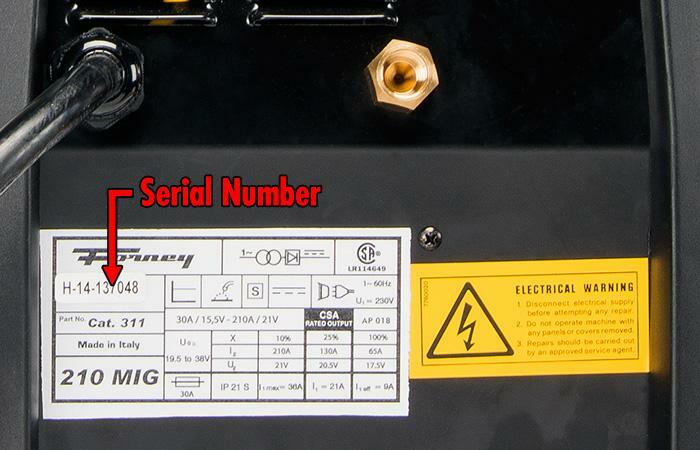 Find out where your welder's serial number is located. The serial number for your welder will be located on a white label attached to either the bottom or the back of the unit. If you are having issues locating the serial number please contact us and we will be glad to help!